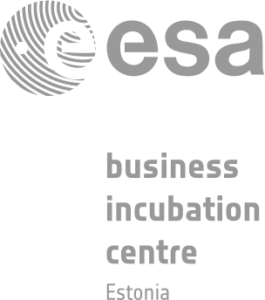 ESA BIC Estonia is part of the Europe-wide ESA BIC network, offering access to ESA expertise, knowledge and data, laboratory and testing facilities of the participating universities and hands on business development support from the Incubation Centre teams. ESA BIC Estonia helps to transfer technology from space to non-space applications and supports 20 Estonian startups over 5 years to develop products for terrestrial use. Estonia became a full member of European Space Agency (ESA) on September 1, 2015. Two years later, ESA Business Incubation Centre (ESA BIC) was launched in Estonia with incubation offices in Tartu and Tallinn. Estonia aims to remain the most advanced digital society in the world and launch new startups in the field of European space technology. The implementation and the ongoing management of the Estonian incubation center will be led by Tartu Science Park in cooperation with Tallinn Science Park Tehnopol and six other consortium partners. The physical location of the ESA BIC activities will be shared between Tallinn and Tartu. ESA BIC Estonia Consortium consists of eight partners: Tartu Science Park, Tallinn Science Park Tehnopol, City of Tartu, City of Tallinn, University of Tartu, Tallinn University of Technology, Tartu Observatory, and Kredex.